UNDER CONSTRUCTION, 600 APPARTMENTS + 5.000m2 RETAIL People, city and greenery symbiosis. 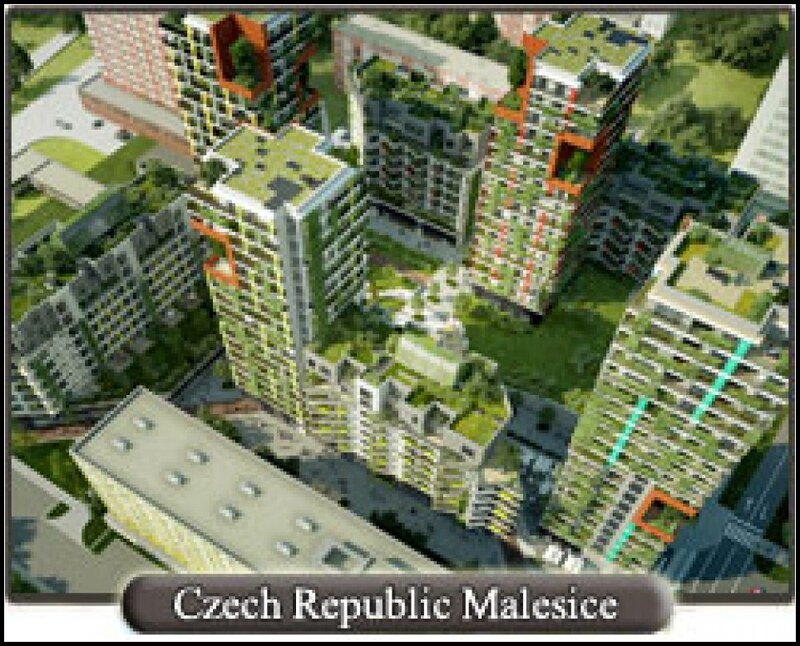 The nearly 600 unit residential project in Prague 10 provides reasonably priced apartments and ground floor retail space in a central location of the Czech capital. Besides providing modern living in tall towers, the philosophy of the project is to cover its facades, roofs and atrium with greenery. On site gardeners maintain the nature and security guards watch after the order of things. Other features include underground parking and view point roof on the tallest tower. More HERE.